I’ve talked about the how to fix corrupted C300 clips for editing on Mac OS X without hassle. 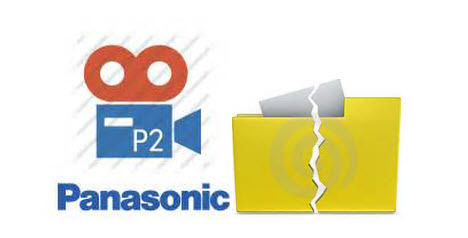 Frustratingly, recently I got .mxf videos and audio files from my Panasonic P2 card damaged. It comes without a whole folder structure. When I import the P2 MXF to Final Cut Pro on Mac OS X, the Apple editing program can’t recognize the MXF source. Got some tech support online, I now figured out possible ways to fix corrupted P2 MXF on Mac. Now share with you. If you are also facing the trouble, you may get some clues. Some guys give their suggestion- repair P2 MXF with P2 Log Pro. I have tried the way, but NO luck. I also tried doing the transfer through a P2 card reader and as direct file transfer into my Mac Hard Drive in case it was just a camera transfer glitch. No luck there. So, is there a program that just will allow me to open and edit the P2 MXF files on Mac without hassle? Fortunately, the answer is positive. Well, if for whatever reason your P2 card structure doesn’t come across intact, what can you do? As you know, Final Cut Pro and other NLE system need a correct card structure to read and ingest MXF footage. In this case, transcoding P2 MXF files for Mac editing with FCP, iMovie, Avid Media Composer or other NLE systems in a 3rd party app is a feasible workaround. Editors’ Note: To avoid broke your P2 card structure, you should learn how to copy P2 MXF to Mac correctly. Essentially you must copy the entire card structure (preferably not through dragging and dropping in the finder). 1. Connect the camcorder to computer via FireWire cable. 2. Turn on camcorder and choose Camera mode, and then the Menu button. 3. Choose Other Functions menu and highlight the PC Mode setting. Set PC Mode Setting to 1394DEVICE. 4. Press the mode button to switch from Camera mode to MCR/VCR mode, and then hold the button for several seconds so that the PC/Dub mode light is on. 5. P2 card in the camcorder will appear as mounted disk on the desktop in the Finder. If you have P2 card reader, P2 card driver, P2 Store for content management, just connect P2 card reader/driver to Mac, insert P2 card to one of the slots in the reader/driver. Then the P2 card will be shown as mounted disk named NO NAME. To transfer P2 files to Mac, you can copy the whole card into a folder on Mac after the P2 card is mounted on Mac. Make sure the CONTENTS folder and the LAST CLIP.txt are copied. If the direct Finder copy does not work for you, or you get files glitched/ruined footage, you may use P2 content management software (P2CMS) to copy P2 files to Mac. Hope this guide on fixing damaged P2 MXF files on Mac OS X can be useful to you. This entry was posted in Non-Linear Editing and tagged corrupt p2 mxf to fcp, edit corrupt p2 mxf mac, fix corrupt p2 clips, fixing corrupt p2 footage, fixing damage mxf files, how to copy p2 mxf to mac, how to fix damaged p2 mxf, recover corrupt p2 card, repair corrupt p2 card by admin. Bookmark the permalink.